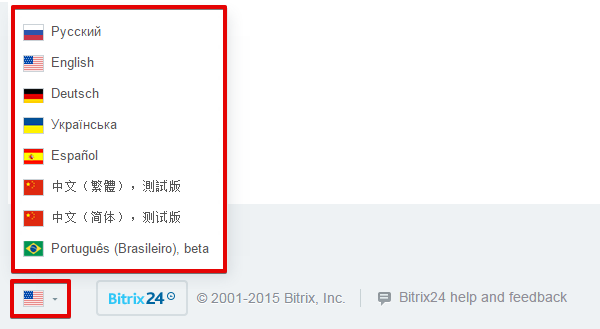 We have just added two more localizations for Bitrix24 cloud service – Chinese (both Simplified and Traditional) and Brazilian Portuguese. To switch the language, log into your Bitrix24 account and scroll down to the very bottom, where you’ll see a flag switch. These localizations are currently in beta, so if you catch an error, please do send us a message with ‘Localization error’ as you email subject. We have two more localizations in the works (French and Polish) scheduled to be released later this year, so stay tuned.